Dead vegetation around the area where the underground oil tank is buried can point out that the soil underground may be contaminated. Sometimes the leaking oil can come up to the ground when it leaches into the ground water and is pushed upwards when the soil is saturated. An oily odor is a clear sign of leaked underground oil when all else is eliminated. Where there is a sump pump, the leaked oil could be pumped up together with the ground water. This can be seen by putting the water in a clear glass. If oil floats on it, there is definitely a leak. The surest way of identifying an underground oil leak is by doing an underground oil tank testing for tightness followed by a soil test. The soil is drilled from some height below the depth of the tank for testing. If there a leak is confirmed, there are steps to be taken for soil remediation. The underground oil tank is emptied of the remaining fuel and removed from the ground. The tank is then visually inspected by an oil tank inspection NY specialist for leaks and also subjected to other tests. The soil that was under the tank is tested for oil. If the soil is contaminated, the contractor reports an oil spill to the state authorities. The state assigns the case a number. Tests to determine whether the oil has leaked into the groundwater are done. 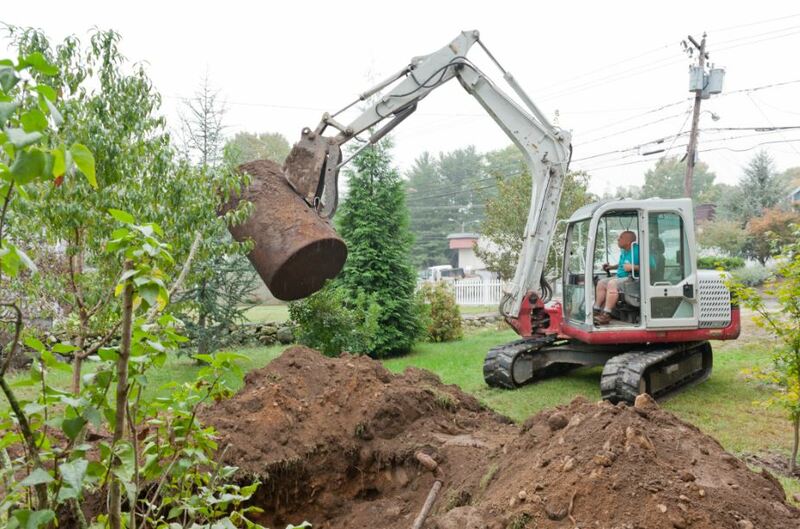 If the groundwater is contaminated, a specialist will be needed to do the remediation. The homeowner contacts his insurance in case he is covered or contracts a specialist to do the remediation. All contaminated soil is dug up until the clean soil is reached. If there was water contamination, the water is sucked up until clean water is reached. After further tests that all the oil has been scooped up the contractor covers the ground with clean soil and restores the ground. The contractor finally files the necessary paperwork with the state to obtain a No-Further-Action-Required permit.